Doesn’t make it right but seeing him that even Inha’s share of blame is pretty great and redeems him a great deal in my eyes. Something else that surprised me was his father’s comment in the elevator. 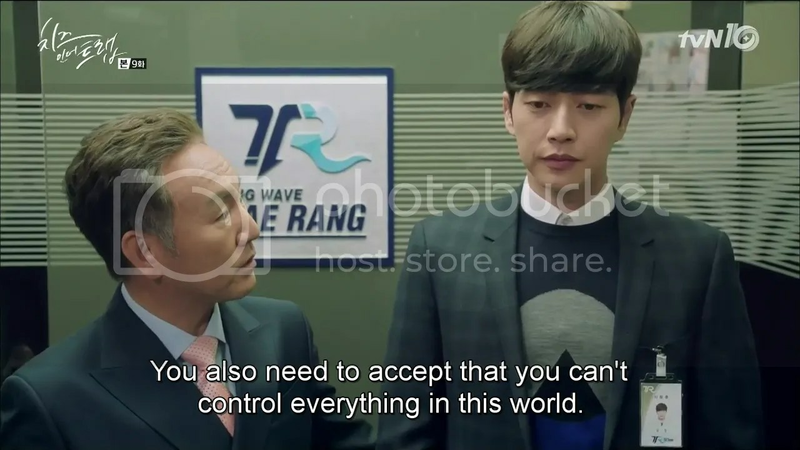 I’d never seen Yoo Jung as a control freak but it somehow makes perfect sense. He has everyone in his social sphere analyzed, with their traits, weakness and misdeeds, neatly marked down beside them so he knows precisely how to handle them in any situation. It’s something that clearly arose out of how he was treated in high school, and adds a fascinating layer of complexity to his character. In fact, what I enjoyed most in this episode was that flashback depicting the Baek siblings and Yoo Jung as (fairly unconvincing xD) highschoolers. So much of their present relationships have been shaped by the past but we still have yet to see that past in its entirety. Today’s snippet centers Inha as a profoundly tragic character of sorts, who doesn’t know how to take care of herself but refuses to have anyone else take care of her. It was profoundly sad to hear her wonder what made her this way. She always had a predilection for the strange but it’s as though she remains stuck in that mentality, with all the joy sapped out, and only selfishness remaining. Her life and her function in this narrative are eerily similar. She shows up out of however and has no real purpose besides aggravating both males in her life, sometimes making things worse for them (she really didn’t have to pretend to be Yoo Jung’s girlfriend). The only time she gets mildly amusing is when she’s suddenly part of a plot to bring down Young Gon (which I’m assuming is what Yoo Jung is orchestrating). She doesn’t have any true existence beside how useful she is to this narrative. I would write her off as a useless character in any other drama but this show works to use her uselessness and show how barren her life is through it, which I thought was seriously clever. 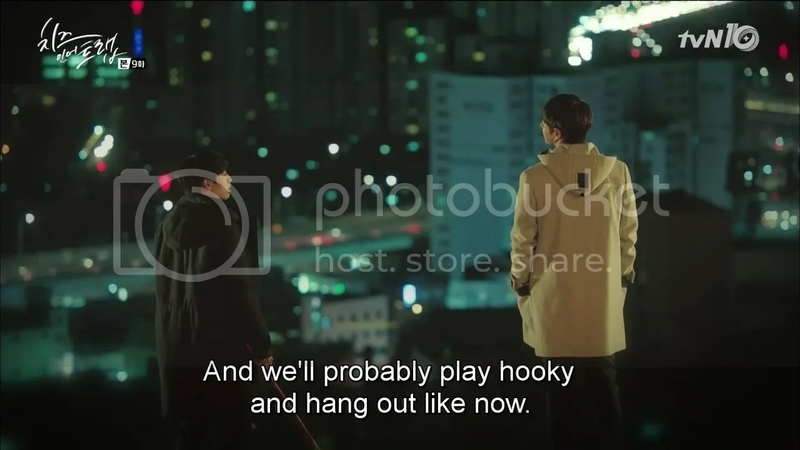 The trio’s fractured bonds puzzles me like hell and I’m yearning for an explanation, or a few more hints as to what happened because all we know was that it was bad, and involves Inho’s broken hand. I hope the answer will live up to the level of tension this show has created though, because it takes something, to kill a friendship like that. I found Bora irritating in this previous episode but underwent a change of heart after this one. This episode made clear that Seol’s resolute in her decisions and awesomely forthright but not very quick on her feet. She just stood there while Dajung yelled (not taking it to heart which is great) but arguing back would be just good. Bora, however, fires back instantly and always says what I thought Seol should say. At one point Dajung asks her if she’s Seol’s mouthpiece, and I think it’s something even better than that. She says precisely what Seol wants to say but is struggling to verbalize. It’s a pretty great friendship the two have. That was one pretty street. Inho remains as delightful as ever. The next episodes preview teases him falling for Seol which is bound of have repercussions a plenty, but I’m just giggling at how they painted his cheeks red. He cleraly feels something, though he’s been chalking it down to protectiveness thus far but it’s going to be interesting to see what happens once he realizes what he’s feeling. 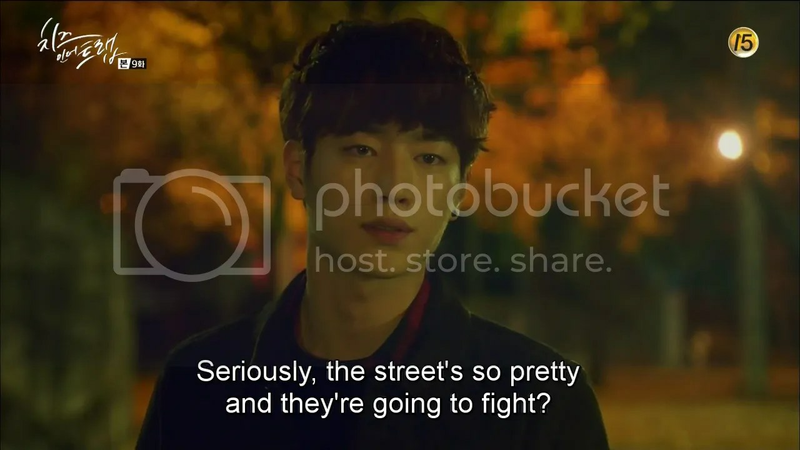 I find it interesting that he was clearly the leader of the trio as teenagers and might have even encouraged Yoo Jung in thinking that it’s other people who are strange not him (though I doubt he could have guessed how far Yoo Jung would take such an idea). As much as his sister aggravates him (and I seriously wanted to slap her when she purposefully spilt ramen on his music), he still has a soft spot for her. It’s interesting that Inho’s grown more understanding of other people over the years, whereas Yoo Jung’s grown more inflexible. Though, there is the question of whether Yoo Jung was just suppressing how he felt (like during the pen incident), and slowly decided that it wasn’t worth it anymore. Sort of like Hong Seol. The parallels between the two sure are neat. Yoo Jung thinks they’re different, but I wonder if that’s really the case. Seriously…how is my university life so lacking compared to these people? Maybe I’m doing something wrong…. First of all…you are fast. So, thank you for this while I wait for it to be subbed. Now, watching it raw makes more sense. I could be reading it wrongly,, but this was an example of how Jung and Seol are the same …they both are not big on sharing their thoughts or feelings unless it is being dragged out of them. They also have fuss… Da Jung attacking seol would have been an opportunity for her to just shut her up, instead buddy Bora (In ho) stood up for her. There are lots of parallel s between seol/Jung and Bora/Inho… It is eerie because we love differences with our characters, but that is what makes them interesting because we tend to react negative towards one when their equal/opposite acts the same way but is seen in a different light.